Multiple-color letterpress Journal Sketchbooks printed by hand with a Vandercook SP-15 letterpress. These books utilize a “blotter paper” technique (of running the paper many times through the press to pick up ink during wash-up), creating a completely abstract and unique pattern on the covers. 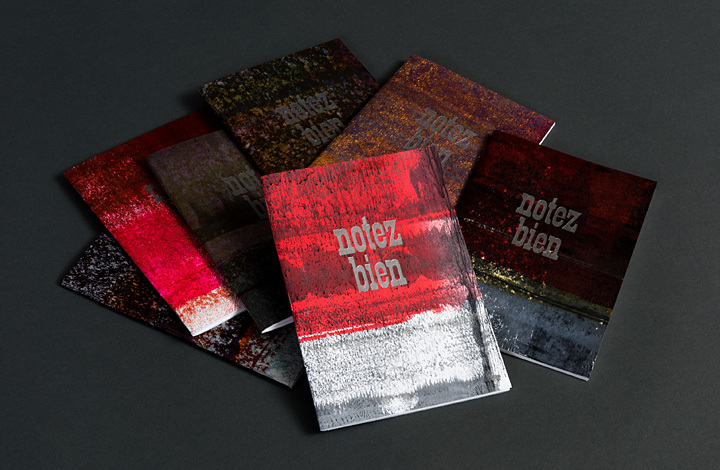 Silver ink with “notez bien” (please note) on cover; 32 blank pgs. + covers; saddle stitch (stapled).